Apple Inc., (NASDAQ: AAPL) with the launch of the iPhone 6 and the Apple Watch; the company took the existing technologies to the next level. These gadgets now have a new method of paying bills, known as Apple Pay. Combining the power of NFC and iOS 8, these devices let you store multiple credit or debit cards through the Passbook app on your phone. 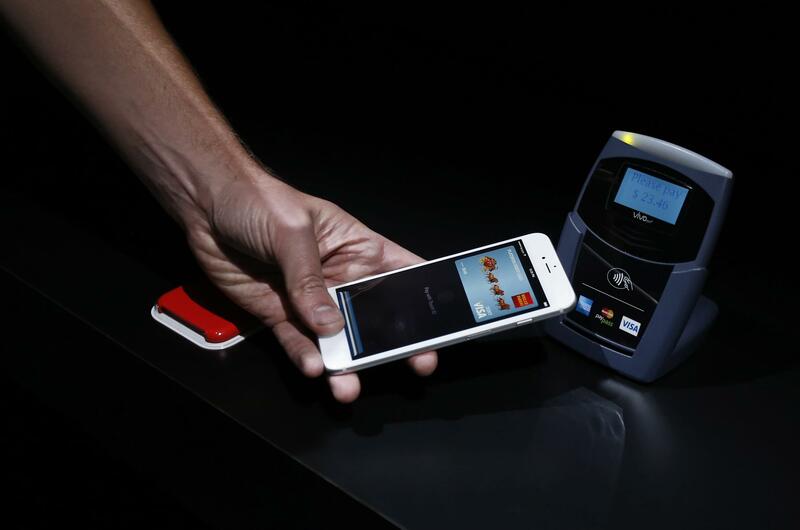 Apple Pay is capable of storing Visa, MasterCard and American Express credit and debit cards. To use it, you just need to tap or wave your iPhone or Apple Watch in front of the NFC-enabled payment terminal, and then use the touch ID fingerprint sensor on your iPhone 6 and 6 plus to validate your identity and voila! It’s done. The smartphones these days mostly include NFC as a special feature. NFC stands for Near Field Communication, and is a wireless technology that enables a smartphone to be used like keys or credit cards. NFC’s maximum range is about 20 cm, but is usually limited to a small range of 4 to 5 cm, which benefits security. Since the invention of Plastic Money, use of cash has shown a decline in the statistics, and the days of checkbooks are already over. NFC is consistently trying to replace the decade-old magnetic cards, but with unsuccessful attempts. Apple Pay isn’t the only option available in the market; others include Amazon’s Local Register, Google Wallet, Softcard (previously Isis), CurrentC (an alliance of retailers like Target and Wal-Mart) and Starbucks. However, the Apple Pay still is the best among them considering its sophisticated working paradigm. For security concerns, the data is not stored on the phone, but on Apple’s cloud server. In case the phone is stolen, it is possible to stop all the payments remotely. This giant leap from Apple is very likely to replace cash payments and would make funds management easier. Since it is incredibly easy to check your financial balances.